We are lucky to work in some stunning houses throughout Sussex and this one was no exception. Read more to find out about the wood floor we have installed in this beautiful property. This wood floor flows seamlessly throughout downstairs. The owners of this former manor house bought it just over a year ago. 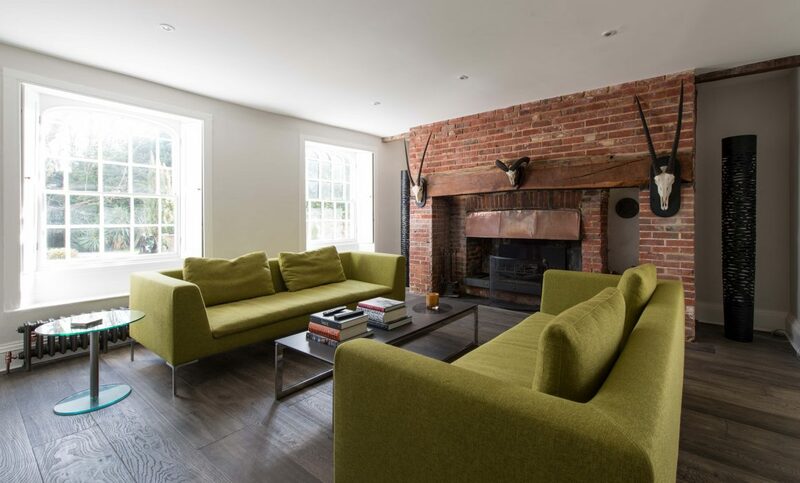 Whilst no building work was needed, the decor was very dated and the owners knew they wanted to modernise it whilst retaining many of the period features. Upstairs in the property, they exposed many of the original wood floorboards which were then restored. They therefore wanted to continue this look throughout the downstairs. During their initial conversation with Phil, the owners expressed an interest in a wider plank wood floor with an antique look suggesting a floor that had been there for years. After taking a number of suitable samples to the owners, they chose V4’s Landscape Moorland. Extra wide engineered European oak planks are finished by skilled craftsmen who plane, scrape and distress the surface to accentuate the natural contours of the grain. 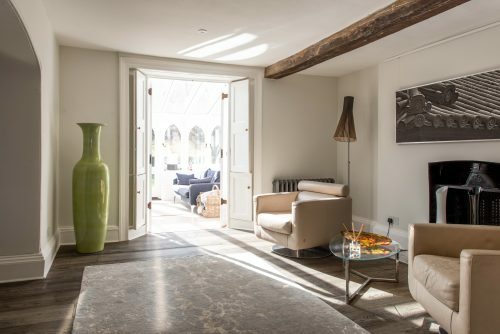 The finished result is a wood floor that blends perfectly with the original features, whilst complementing the modern furniture used throughout the home. As well as impeccable style as you can see the owners also have two impeccably behaved dogs. However, one of their worries was how a hard wood floor would fare under their sharp claws. Luckily the boards are finished with a hard wax oil which provides a durable top layer making the floor easy to keep clean and helps it to stay looking new. 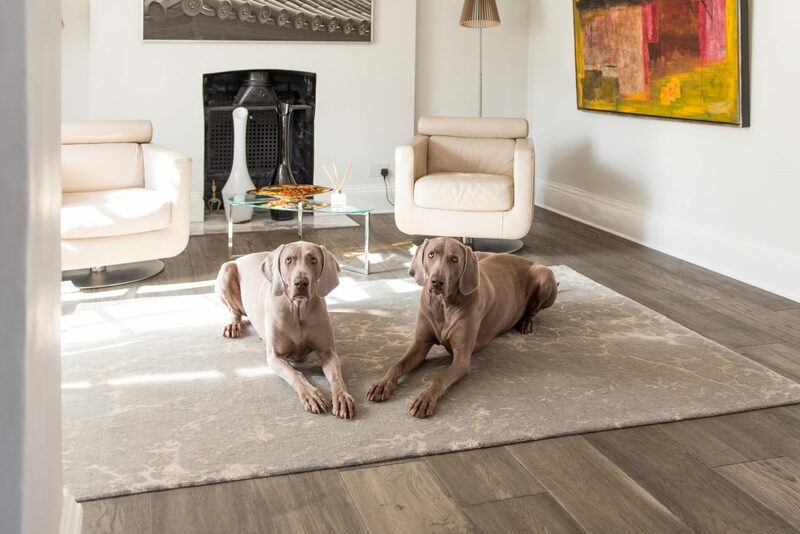 Impeccably behaved dogs sitting proudly on the new floor. The owners aim was to create a beautiful home which was modern whilst being sympathetic to the original building. We think they’ve done just that and this wood floor also ticks both of those boxes!